Today is the Opening Day of the 2018 Connecticut General Assembly. The Governor put forth his priorities today and tomorrow the legislature takes over. For me issue #1 is a fix to the budget that gives our towns and schools stability and predictability. We must get our fiscal house in order before we can do anything else. It’s a challenge but I’m ready for it. 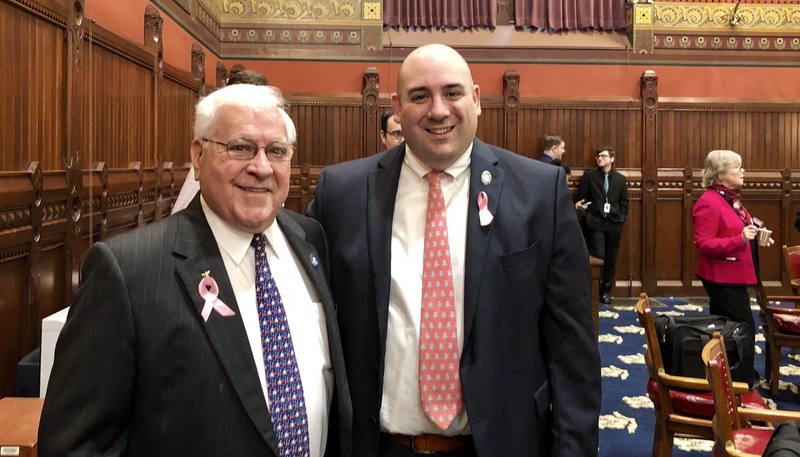 It's an honor to serve Brooklyn, Pomfret, Eastford, Woodstock, and Union in the General Assembly, and my office is always open to you — during session and year-round. I would love to hear your thoughts on the issues that come before us this session. You can reach me by email or through my office at 860-240-8563. The first is the CGA website, where you can view the General Assembly's schedule of events, stream the House and Senate sessions online via CT-N, or track a bill. As proposed legislation becomes available, you can track any bill as it makes its way through the legislative process. Visit this website to register as a bill tracking user. Once you are logged in, you will be able to enter the bill number into the system. Whenever a change has been made to the bill's status, you will receive an email informing you of this change. The OpenConnecticut web site is another great resource, run by the Comptroller's office, that allows residents to track state government’s spending in real time. Again, don't hesitate to reach out to me on any issue. I look forward to a productive 2018 session!